A transitional locomotive between the EMD F series and "Geeps," the BL2 is best remembered for its distinctive styling as opposed to record sales numbers. With competition coming from other builders, most notably ALCo's RS-1 locomotive and successors, EMD needed a locomotive to fill the road-switcher role. Their first attempt at this was the BL1. The BL stood for "Branch Line" indicating the lighter and more diverse duties for which it was built. Locomotives featured mechanics based on the very popular F3 locomotive and could be equipped with a steam generator for passenger service. Those with this feature could be identified by an extra exhaust stack between the windshields for the generator housed in the short hood. The biggest difference between the F3 and the BL1 was the car body. Although the BL1 still featured a full-width body, the sides featured a taper and inset upper section, a more rounded short hood and platforms at each end. This improved visibility and access for the crews, but most agreed it did little for the locomotive's aesthetics. It also made maintenance more difficult. EMD made one small modification, replacing the pneumatic throttle with a more conventional electric model between the BL1 and BL2 - there were no external spotting differences. A total of only 58 of the oddities were sold. Although the BL2 design itself was a failure, it was an important step in EMD's designs. The wide demand for a road switcher locomotive was clearly proven by sales of competing builders, so EMD went back to the drawing board. The next locomotive to roll off the line was a "General Purpose" engine that one designer said was "so ugly no self-respecting railroad would ever let it near a mainline." That locomotive was the GP7. And that prediction, at least for EMD, was happily and completely debunked. Although only purchased in small numbers by a hand full of railroads, many of them smaller lines, the BL2 has always had a loyal fan following. Of the 58 built, at least 7 remain today. Many of those are operable and power excursion trains across the country. Although the car body doesn't make maintenance as easy as a GP, it protects the same reliable mechanics. And while the styling may not be as universally appealing as a "bulldog-nosed" F unit, the distinctive flair is certainly appealing on a tourist line. The BL2 has been reproduced in model form several times over the past fifty years in many scales. 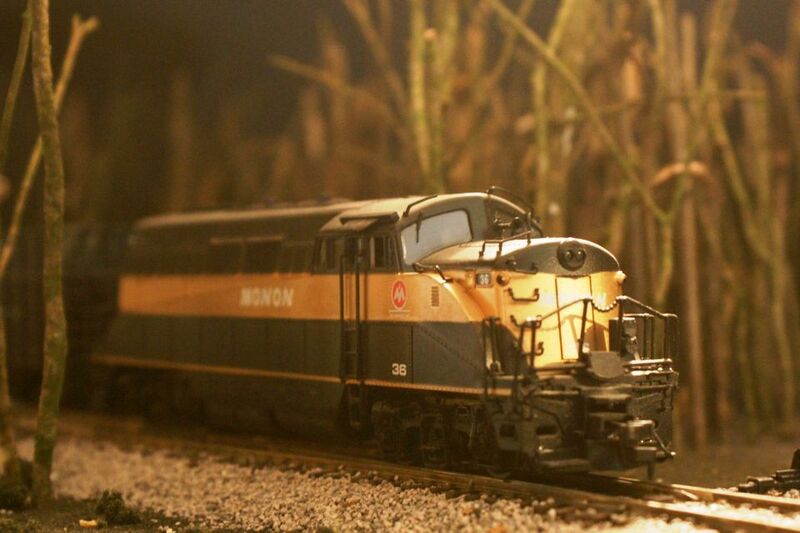 Many of the early models were quite toy-like by today's standards, but the BL-2 was also chosen by Life-Like as the premier engine in their "Proto 2000" line of locomotives that raised the bar for ready-to-run plastic models. While that line has now been acquired by Walthers and several of the other models have been re-released, as of 2016, the BL2 has been out of production for about two decades. Models can frequently be found at swap meets and online auctions, however, including older versions and models by other manufacturers in other scales. The list of models below includes all known models of the BL2 made up to this time.